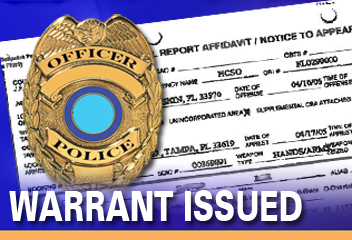 Before executing a municipal, state, or federal arrest warrant, police officers must first determine the court where the warrant was issued from. This is important because it determines whether the warrant is an actual, legal arrest warrant within the executing officer’s jurisdiction. CRS – 31-4-112. Marshal or chief of police – duties. The marshal or chief of police shall execute and return, by himself or by any member of the police force, all writs and processes directed to him by the municipal judge in any case arising under a city ordinance. In criminal cases, quasi-criminal cases, or cases in violation of city ordinances, he may serve the same in any part of the county in which such city is situate. The marshal, chief of police, or any member of the police force shall suppress all riots, disturbances, and breaches of the peace, shall apprehend all disorderly persons in the city, and shall pursue and arrest any person fleeing from justice in any part of the state. He shall apprehend any person in the act of committing any offense against the laws of the state or ordinances of the city and, forthwith and without any warrant, bring such person before a municipal judge, county judge, or other competent authority for examination and trial pursuant to law. He has, in the discharge of his proper duties, powers and responsibilities similar to those which sheriffs have in like cases. Any authorized law enforcement officer may execute within such officer’s jurisdiction any summons, process, writ, or warrant issued by a municipal court from another jurisdiction arising under the ordinances of such municipality for an offense which is criminal or quasi-criminal. For the purposes of this subsection (3), traffic offenses shall not be considered criminal or quasi-criminal offenses unless penalty points may be assessed under section 42-2-127 (5) (a) to (5) (cc), C.R.S. The issuing municipality shall be liable for and pay all costs, including costs of service or incarceration incurred in connection with such service or execution. Because the State Legislature does not define “criminal or quasi-criminal,” many municipal courts attempt to alleviate this problem by noting whether or not the suspect is to be arrested outside of that municipality’s limits. A Colorado police officer can execute (in the officer’s jurisdiction) an arrest warrant issued by any Colorado state court. Rule 4 of the Colorado Rules of Criminal Procedure states that arrest warrants may be executed by any Colorado peace officer. Because of this, an officer need not obtain a separate arrest warrant in his own jurisdiction to arrest the suspect in his residence. BUT – a search warrant would have to be obtained (absent exigent circumstances or consent) to arrest a suspect in a third party residence. The Colorado Supreme Court has held in People v. Coto, 611 P.2d 969 (Colo. 80) that an out-of-state arrest warrant is not a warrant inside of Colorado. A state simply has no power to issue an arrest warrant for areas beyond its state lines. Therefore – a Colorado arrest and/or search warrant must be obtained if a non-consent, non-exigent entry into any premises is to be made to arrest the suspect. C.R.S. 16-19-114 provides for procedures for getting an in-state warrant based upon an out-of-state warrant or charges. Rule 4 of the Federal Rules of Criminal Procedure permits a state police officer to execute a Federal arrest warrant anywhere in that police officer’s jurisdiction. For this reason, all Federal warrants (even those from other federal districts) are considered “warrants” within Colorado and police officers do not have to obtain a separate Colorado arrest warrant to arrest a suspect in his own residence. However, a separate Colorado search warrant would have to be obtained to make a non- exigent, non-consent entry into a third-party residence to arrest the suspect. Both Federal and State Rules of Criminal Procedure state that a police officer is not required to have an actual copy of the arrest warrant in his/her possession when making an arrest pursuant to the warrant. However, the Rules require that the officer inform the arrestee of the charge he/she is being arrested for and of the fact that a warrant has been issued for their arrest. Generally, peace officers act as private citizens in making arrests outside of their jurisdiction if they do not have the prior approval of the law enforcement agency in the jurisdiction where the arrest is made. In People v. Wolf, 635 P.2d 213 (1981), Denver police officers were investigating a fencing operation and were led to a business located in Adams County. After staging several transactions through an undercover agent, surveillance officers moved in and arrested the owner of the business and seized evidence. “The General Assembly, in enacting section 16-3- 106, C.R.S. 1973, intended to limit peace officers [in] exercising their arrest powers and their law enforcement efforts to the territorial limits of their authority and to require that local peace officers be advised and participate in the extraterritorial law enforcement activities of other peace officers. But The Evidence WAS NOT Suppressed because..
..the evidence need not be suppressed because, in Colorado, a citizen may arrest for a crime occurring in his/her presence and, in these circumstances, a police officer from another jurisdiction should not have less authority than a private citizen. “Nonetheless, we do not approve of the actions of the Denver police which were in violation of the statutes governing their authority to arrest. Law enforcement officers should not make excursions into another jurisdiction to ferret out crime without first securing approval of the law enforcement authorities in that jurisdiction, or to make an arrest when they are not in fresh pursuit. In cases where the police act in willful disobedience of the law, the courts have not hesitated to use their supervisory power to exclude evidence. Colorado peace officers have authority outside their jurisdiction only in specific circumstances. The Certification Statutes do not address this issue, they only address peace officer certification requirements not peace officer authority! 4. When the officer is assigned to a multi- department group with broadly specified jurisdiction. C.R.S. 16-3-110 specifies that certified full time peace officers can exercise their authority when a felony or misdemeanor occurs in their presence and they have been authorized to so act by their employing agency. If a peace officer takes police action outside of his jurisdictional boundaries and none of the above exceptions are present, he is acting as a private citizen. The only very limited exception to this rule is when officers are outside their jurisdiction and are faced with exigent circumstances. In People v. Lindsey, 805 P.2d 1134 (Colo. App. 90), Denver police officers were in Aurora to interview the girlfriend of a murder suspect. During the interview, the officers became suspicious that the suspect was hiding inside his girlfriend’s apartment. They entered and made a warrantless arrest of the suspect, who was hiding inside. The court acknowledged that the officers violated the jurisdiction statute (16-3-106) because they were not in fresh pursuit. However, the court held that there was no constitutional violation because the officers had probable cause plus exigent circumstances. Suppression was not required unless the officer’s violation of the statute was planned. Here they had gone to the house to “investigate” not arrest. And inn People v. Bloom, 577 P.2d 288 (Colo. 78), the Colorado Supreme Court upheld the extra-territorial exercise of jurisdiction by a police officer assigned to M.E.G. (a multi-agency group with broad jurisdiction). The court emphasized, however, that the crime leading to the arrest had occurred in the officers’ presence. In People v. Lott, 589 P.2d 945 (Colo. 79), the Colorado Supreme Court suppressed evidence obtained in warrantless burglary arrests by Wheat Ridge police officers within the Denver city limits. The court noted that, “since they were not in fresh pursuit, the officers lacked authority to arrest outside the territorial limits of their authority.” The opinion notes that the Wheat Ridge officers “had no authority from the Denver Police Department or the Denver County Sheriffs office; (nor) were they accompanied by any Denver officers.” Because the arrests were illegal, the Court also suppressed statements made by the suspects after their arrest. An in People v. Hamilton, 666 P.2d 152 (Colo. 83), was a case similar to Lott, but it involved an arrest with a warrant by Golden Police Officers of a suspect in Denver. The Colorado Supreme Court noted that, although a Colorado arrest warrant is valid anywhere in the state, an officer’s authority to execute it is limited to his own jurisdiction except in certain limited circumstances. None of those circumstances (e.g., fresh pursuit: presence of officers from the jurisdiction where the arrest took place) were present in this case. The Court noted that the fresh pursuit statute (16-3-106) recognizes “that in many situations citizens of a particular community may best be served by the requirement that local officers familiar with local neighborhoods accompany peace officers from other jurisdictions seeking to arrest a defendant allegedly present in the community.” However, even though the officers exceeded their statutory authority, the Court ruled that the existence of the warrant established probable cause and therefore the conduct of the officers, although not authorized, was not unreasonable under the Constitution. For this reason, the Court refused to suppress evidence seized at the time of the arrest. The Colorado Supreme Court dealt with the definition of “fresh pursuit” in Charnes v. Arnold, 600 P.2d 67 (Colo. 79). In that case, a Lakewood Police Department officer responded to a hit and run call. At the scene, witnesses gave the officer a description of the driver, a description of the car, and the car’s license number. A records check revealed that the vehicle was listed to an address four blocks away in the Denver city limits. The Colorado Supreme Court determined that the officer’s actions constituted fresh pursuit. 2. Continuous and uninterrupted pursuit. (But there does not have to be continuous surveillance of the suspect or uninterrupted knowledge of his whereabouts). In People v. Florez, 680 P.2d 219 (Colo. 84), Commerce City officers were investigating Florez whom they knew had an outstanding auto theft warrant. While the officers were in Englewood working on the investigation, they saw Florez drive by in the stolen vehicle. They stopped the vehicle and detained Florez at gun point for 4-6 minutes until an Englewood officer arrived. The Englewood officer then filled out the required custody report and impounded the car. The Colorado Court of Appeals upheld the actions and noted that the Commerce City officers did not “do anything beyond what was dictated by the circumstances attendant to the initial stop of the stolen vehicle and the detention of its occupants.” The Court held that the subsequent presence of the Englewood officer and his participation in the arrest process was sufficient to justify the Commerce City officers’ “arrest” out of their jurisdiction. (1) Notwithstanding the doctrines of sovereign immunity and respondeat superior, a city, town, county, city and county, or other political subdivision of the state shall indemnify its paid peace officers and reserve officers, as defined in section 16-2.5-110, C.R.S., while such reserve officers are on duty for any liability incurred by them and for any judgment, except a judgment for exemplary damages, entered against them for torts committed within the scope of their employment if the person claiming damages serves such political subdivision with a copy of the summons within ten days from the date when a copy of the summons is served on such peace officer. If you have questions about Colorado Arrest and Bench Warrants in the Denver metropolitan area and throughout Colorado, attorney H. Michael Steinberg will be pleased to answer those questions and to provides quality legal representation to those charged in Colorado adult and juvenile criminal matters as regards ….Colorado Arrest and Bench Warrants.